Here is a guide on how to make pasta. 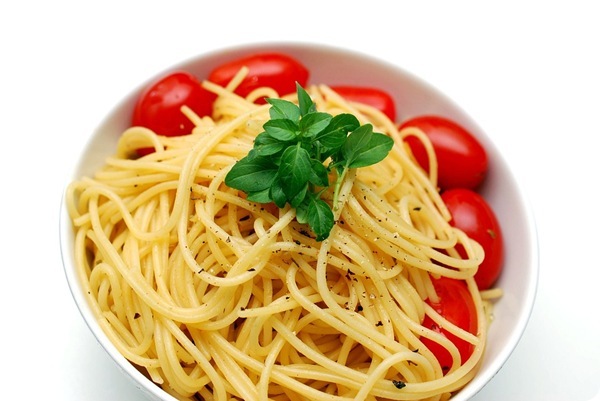 The pasta mixture should be intermingled in a food processor until it starts to form into a sphere. The pasta mixture consists of 2 and a half cups of all-purpose flour, 2 to 4 eggs, 2 tablespoon milk, 4 ounces of olive oil and very little amount of salt. Keep the dough and press on it slowly to make it square-shaped dough. Keep it aside. Later set the machine to its initial position and pass the dough through the machine. Keep on repeating the process of putting through the machine until the dough is all flexible, bouncy and soft. Let the dough dry and after that make the shape of your pasta the one you are longing for. There can be many types of shapes: Shells, butterflies, tubes, little springs, radiators, bow ties, wheels etc. After passing it through the machine for the last time, set it to dry. The manual one is turned by hand hence the name. • They are easier to maintain and simple to use. They can make many types of pasta including everyone’s favorite lasagna and ravioli. Since they are made of stainless steel they do not rust easily so it is easier to keep them clean and looking good. You would not want something unpleasant to look at in your kitchen. • If there is anything wrong with the shape or size of the dough you can fix that. • The cost is very less compared to an electric one. Anybody can buy a manual one. • It is a very quiet and silent machine and it is very light-weighed. The manual one is good for beginners. It is a good machine for people making pasta for the first time. Once you make pasta with this you will not want to buy the packet ones again. • It can also be used for other purposes except for just making pasta like for shaping clay. • It takes more time than the electric one. • You might cut your hands while washing the rollers so it better to be careful than hurt. The electric one is used for those who make pasta regularly at home particularly Italian people or pasta lovers. • It takes very less time to make a packet of pasta maybe just 25 minutes. • Very easy to use and makes delicious and perfect pasta. • After making a single batch that is after every 25 minutes the machine needs to rest for at least 5 to 10 minutes. It is because of the motor inside which heats up after a single batch. • If there is a power cut you will not be able to use it. Plus, it adds to your electric bills to use one. • It makes a lot of noise and it also very expensive. They might break if not taken care of properly. If you are going to repair it will cost a lot of money.